Key Difference: Foreword is a short piece of writing found at the start of the book or piece of literature and written by someone other than the primary author of the literature. The foreword basically talks about the interaction or relationship between the author of the book and the author of the foreword. A preface is a short piece of literature that is written by the author of the book or paper himself. It talks about how the story of the book came into being and how the idea of the story came to the author. An introduction is the beginning section of a literature that states the purpose and goals of the writing the literature. The said scenario has happened to every book lover at one point or another in their life. They wait patiently for a new book to hit the market, wanting to get their hands on it and devour it. The day is finally here, the book is delivered to their doorstep. Yanking open the packaging, they finally hold it in their hands. They take in that new book smell and sit down to finally find out what is happening to their favorite character. Opening the cover, the first page is always blank or just the name of the book. Skipping that quickly, they flip to find there are a few more pages before they can get to the first chapter; these are labeled as Foreword, Preface and Introduction. Should they read it? Should they skip? What are these anyway? 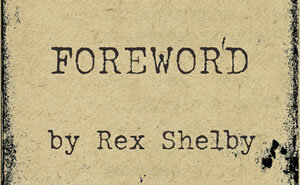 Foreword – spelled just like that and not ‘forward’ or ‘foreward’ (many people are very particular about misspelling this word) – is a short piece of writing found at the start of the book or piece of literature and written by someone other than the primary author of the literature. The foreword basically talks about the interaction or relationship between the author of the book and the author of the foreword. It can also be an expert in the field that talks about the theories covered in the book or the paper. If a newer edition of an older book is published, it can also include respects by a well acclaimed author of today. The easiest way to remember is that foreword is usually written by another author that may be a more established author in the same field or someone who wishes to pay respect to the author that has written the article. Foreword is also often used as a marketing technique by publishers that promote a new book and author by having a famous person write good things about the book. A preface is a short piece of literature that is written by the author of the book or paper himself. The preface usually follows the foreword, if it also present with the literature. The preface generally talks about how the story of the book came into being, how the idea of the story came to the author and any other interesting tidbits that the author can come up with to keep the reader interested. The preface usually ends with thanks and acknowledgments to people who were helpful to the author during the time of writing. A preface is usually signed, followed by the date and place of writing. 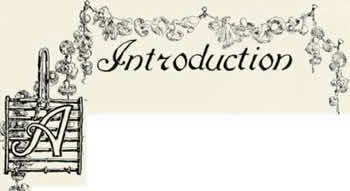 An introduction is a piece of literature that is written by the author and found in books, essays or article. The information is more commonly a part of essays and papers, rather than books. It is the beginning section of a literature that states the purpose and goals of the writing the literature. The introduction gives a sneak peak into what the reader should expect to read in the rest of the paper or the book. Information essential to the main text is generally placed in a set of explanatory notes, which may be paginated with Arabic numerals. In technical writing, the preface and foreword can be a part of the introduction but it can also stand apart. Let’s simply and define each word in a simple sentence. A foreword is a paragraph or a page about the author, book, or subject that is written by another author, expert or well known celebrity. A preface is something that is written by the author in order to talk about how he came up with the story and why, along with who helped him through the process of story writing. An introduction is a page to a few pages that inform the reader what the story is about and what all is being covered in the paper, article or book. Set the stage for the reader. It tells the reader what the book or paper is about. Also, cover important concepts and terms that may need explaining before the reader delves into the book.